Vishvet Foundation is inviting you to grab this opportunity at one of the strongest technological power in the world. It is diplomatically influential and one of Europe’s strongest economies. 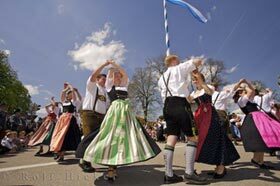 Germany is equally rich as its cuisine and architecture, philosophy and the arts. It is famously hospitable and welcoming. Internships at Germany give students an excellent opportunity to gain work experience, improve their advanced German language skills, and learn about German culture firsthand.